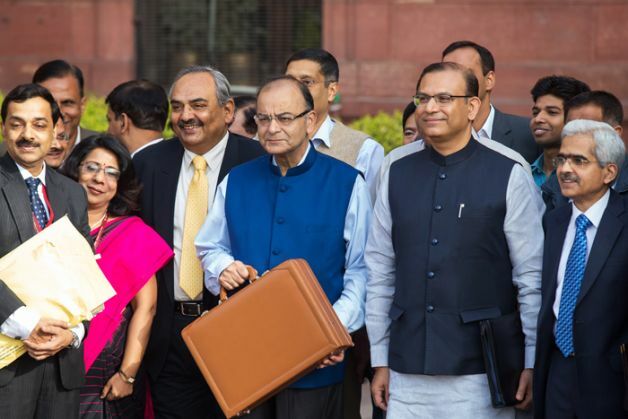 Budget proposals for fiscal 2016-17 will be announced after noon on Monday, and all eyes are on Finance Minister Arun Jaitley and what he holds in store for the common man and the country as a whole. The NDA government will be completing two years in office in May this year, which is pretty much close to the half-way stage electorally, and therefore in that light, Budget 2016-17 has to be seen as crucial for its leaders. According to some experts, Prime Minister Narendra Modi has himself scrutinized the smaller details of the budget and issued implementable recommendations to the finance ministry. Budget 2016-17 is being introduced at a time when the government is being repeatedly cornered and criticised by the opposition and other dissenting groups. Therefore, it will be Jaitley's objective to live up to the challenges being posed to the Centre in the presence of the prime minister. The Economic Survey also indicated that the subsidy given to the rich can be removed in the upcoming budget. As per the survey there are many government policies that benefit both the poor and the rich. In most cases, these benefits are in form of government subsidies that account for more than Rs.one lakh crore. According to the survey, more than the poor, the rich are benefiting from these policies and the LPG subsidy is the most misused, where a Rs.40000 crore burden is on the government. Similarly, there is a Rs 37000 crore subsidy on electricity, Rs 12,000 crore subsidy on public provident fund, Rs 5,500 crore subsidy on kerosene, Rs. 4000 crore subsidy on gold, Rs. 3600 crore subsidy on rail fares and around 750 crore subsidy in aviation turbine fuel), to which the rich have access to. It is believed that the personal income tax slab can be raised from 2.5 lakh rupees to 2.90 lakh rupees. Cheaper home loans and a possible increase in service tax are likely to be announced. The rebate in home loan interest can also be in the range of Rs.3 lakh. Good news is likely to come for irrigation, rural, MNREGA and DBT in the upcoming budget. The increase in the minimum support price for foodgrains may also be announced and a rebate in corporate tax could be declared. New plans for investment and encouragement for investment in stocks are also on the cards. Irregular rainfall for the past two years has been a worrying factor for the government as well as the farming community. There is a possibility therefore of the government introducing out-of-the-box policies aimed at greater investment in the agriculture and allied sectors. Assessments of past economic surveys have shown agriculture and mining sectors receiving the lowest investment. Planning Commission Chairman Arvind Panagariya has said that Budget 2016-17 could give a major boost to the rural economy. New policies for small scale businesses are also in the offing and it is possible that there could be a big announcement for this sector and those involved with it. Prime Minister Modi, through his various radio and political addresses, expressed his concern for the poor and needy of the country, and therefore, we may see Budget 2016-17 showing more care for the artisans, traders and professionals. From the business perspective, the government's "Make in India" initiative is being seen as critical from the ease of doing business with India point of view. There is a feeling that there is a need for change in the mindset of the tax department to facilitate business instead of playing a restrictive role. According to experts, investment in infrastructure, rail and roads will speed up industrial production. These three things together can easily push GDP to over 7 percent. Non-performing assets of banks have been on the higher side for some time, and there is view that bank operations are in a state of decay because of this. The government has announced capital infusion worth Rs.70000 crore to banks and by fiscal 2019-20, these banks will require a financial capital of at least Rs.1.8 lakh crore. It is also being said that the FDI limit in public sector banks can be increased from 20 percent to 49 percent so that they can compete with private banks. Currently, the limit is 74 per cent for private sector banks. The government is facing criticism over the management of the nation's universities. Higher education has by and large been bereft of investment despite Jaitley promising an allocation of Rs.1000 crore, five new IITs and IIMs.